Diving Philippines and SSI Open Water Course. Safe and Affordable! SSI Open Water Course Philippines at Fun Sun Dive Travel – Cebu Diving. Fun & Sun has its own training facilities in Malapascua, Mactan and Coron. What is an SSI open water course? SSI stands for Scuba Schools International. SSI Open Water Course is an internationally recognised certification which will allow you to scuba dive anywhere in the world, within the limits of your license. Scuba Schools International is one of the few training agencies that qualified for a Global ISO Certification. Fun & Sun has its own training facilities in Malapascua, Mactan and Coron, where dive students would get a tour to the dive spots across the areas. Open Water Sessions – You will complete at least 4 open water dives and have the chance to experience everything you learned in the pool hands-on. (Open water can be defined as an open body of water such as a lake or the ocean). 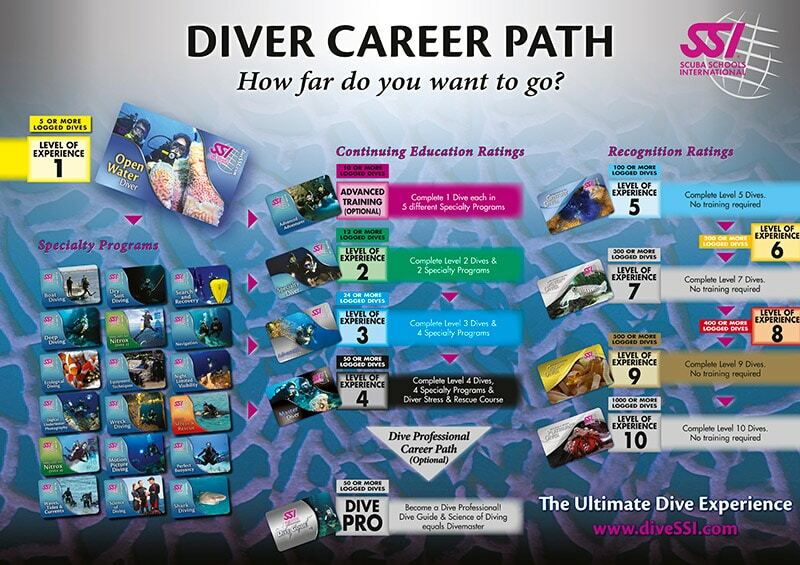 After successfully completing the Academics, the Pool and Open Water Sessions you will be certified as a SSI Open Water Diver – It s your global license to dive!